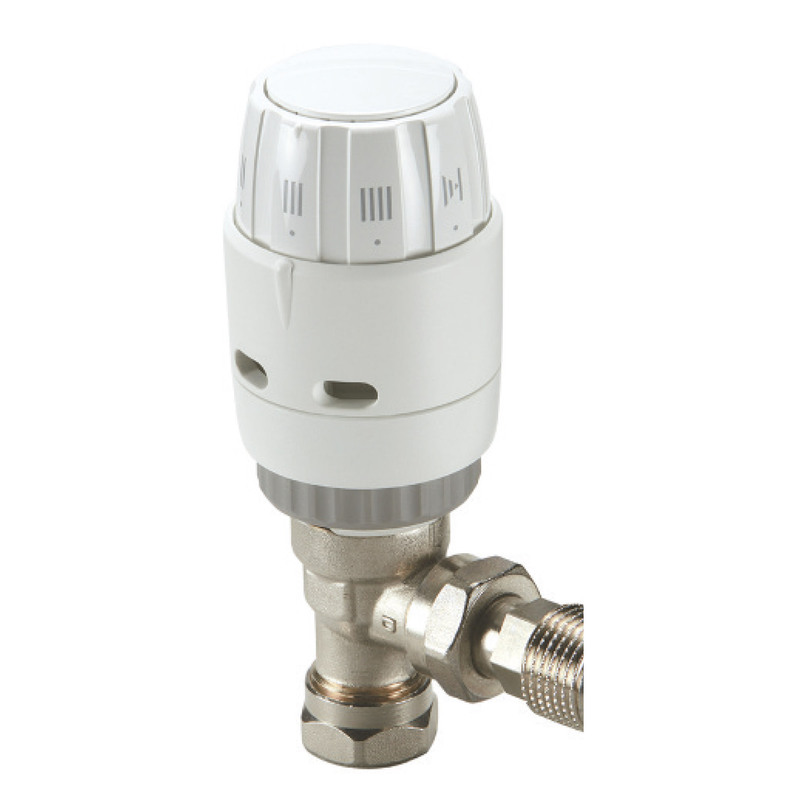 The stylish RAS-C2 sensor radiator pack with matching lockshield valves is packaged together with the innovative flow selectable RA-FS 10mm bi-directional valve body which can be mounted either vertically or horizontally in flow or return. If water hammer is experienced a patented unique flow selection b-directional valve can be turned to reverse the water direction inside the valve without the need to drain down the system. Includes RAS-C2 sensor, RA-FS 15 mm bi-directional angle valve, matching lockshield valve and two 10 mm push-fit elbows.